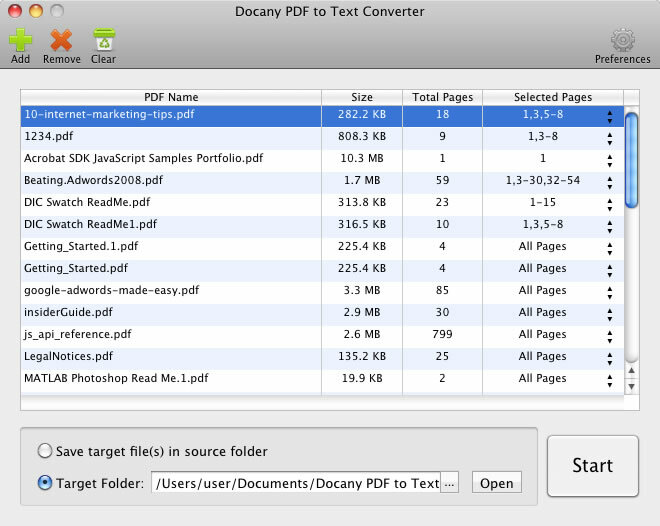 Docany PDF to Text Converter for Mac is an easy way to convert multiple PDF documents to text documents. This program allows you to extract text from Adobe PDF files with just a few mouse clicks, so it can be easily searched, archived, repurposed, and managed. You do not need to use Adobe Acrobat or any other PDF software or plugins to use this PDF converter. Generate a specified amount of random numbers and save them as a text file or send them to a blank Excel file. Even, odd and prime numbers can be randomly generated. Most affordable Business Card Software which is easily downloaded from www.barcodelabelsoftware.net provides advanced image and color setting functionality for giving very attractive look of business vesting cards. Print many OpenOffice Calc files without having to open each one. Calc 2.0 or higher required.